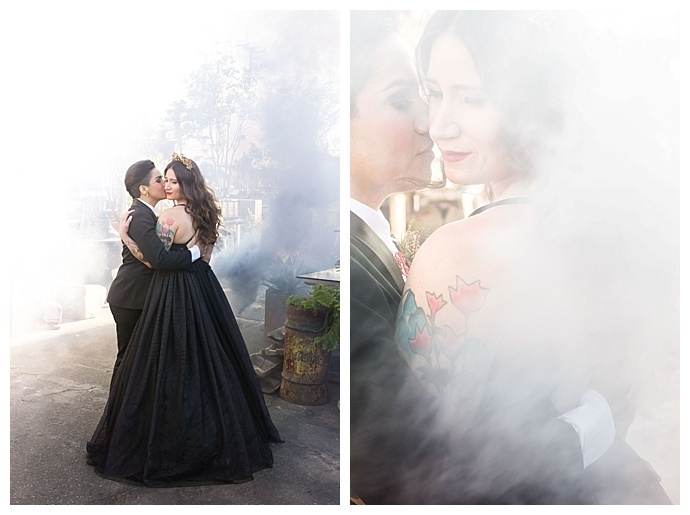 Something old, something new. 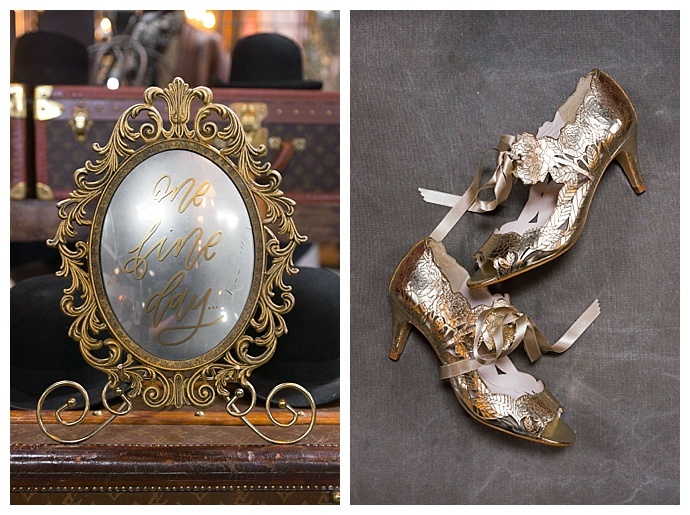 It’s the beginning of a classic wedding tradition that everyone knows by heart. 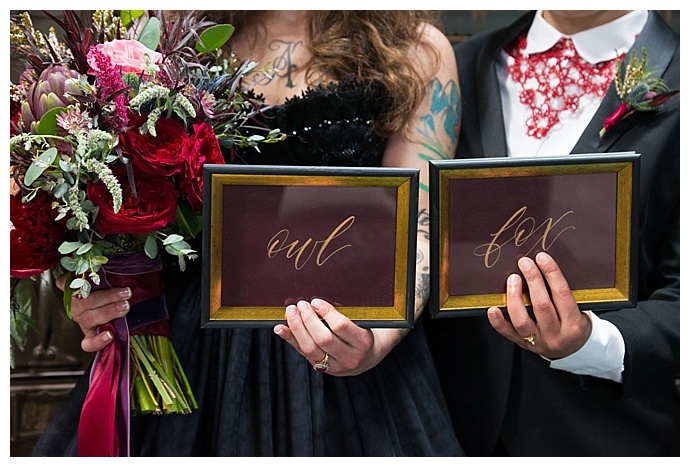 And it’s those four words that also became the theme of this Victorian vintage wedding inspiration shoot. 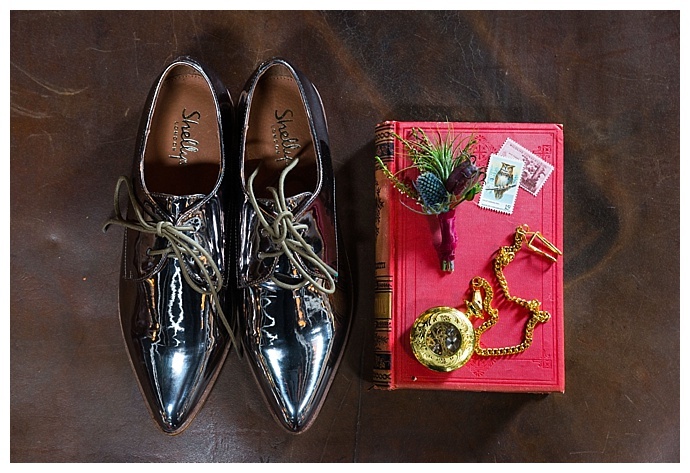 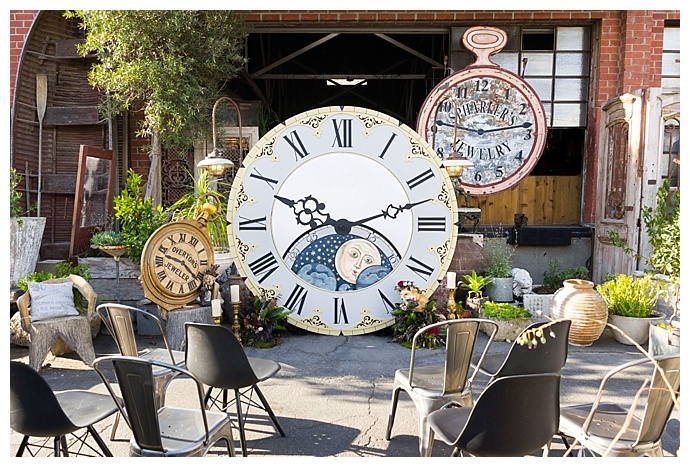 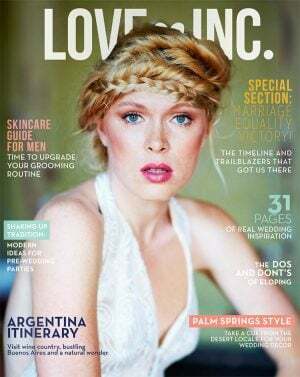 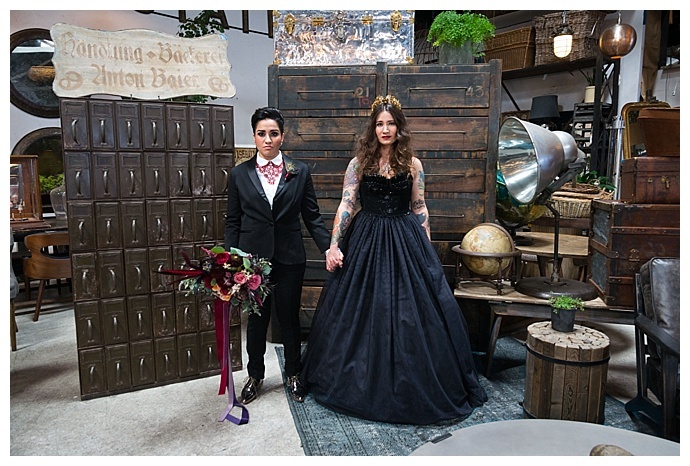 There was no better venue for a shoot inspired by the blending of old and new than the unique treasure trove at Big Daddy’s Antiques in Los Angeles. 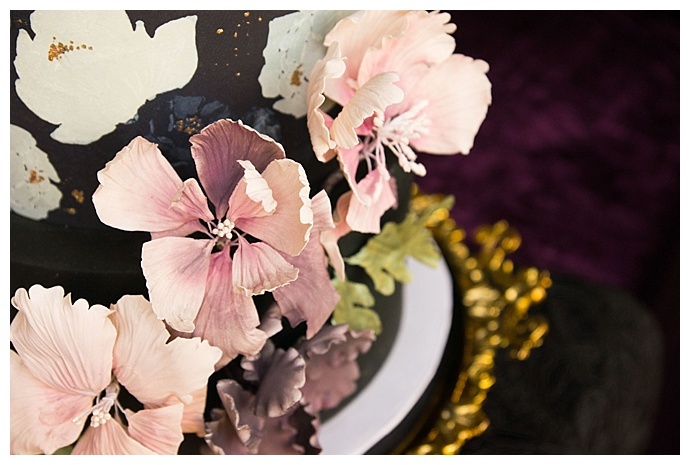 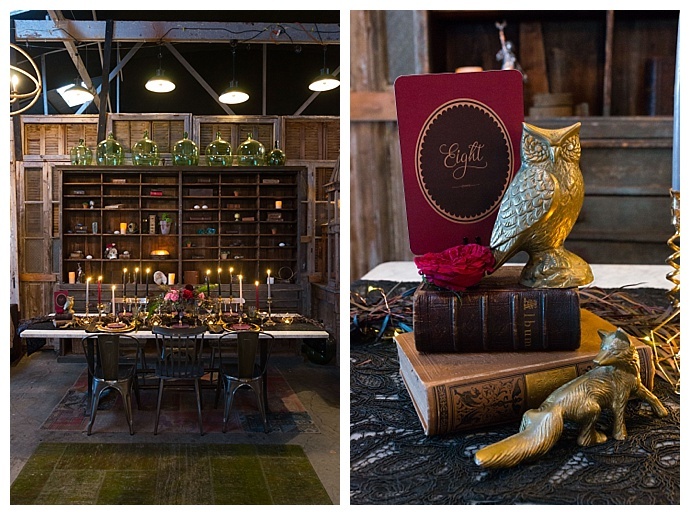 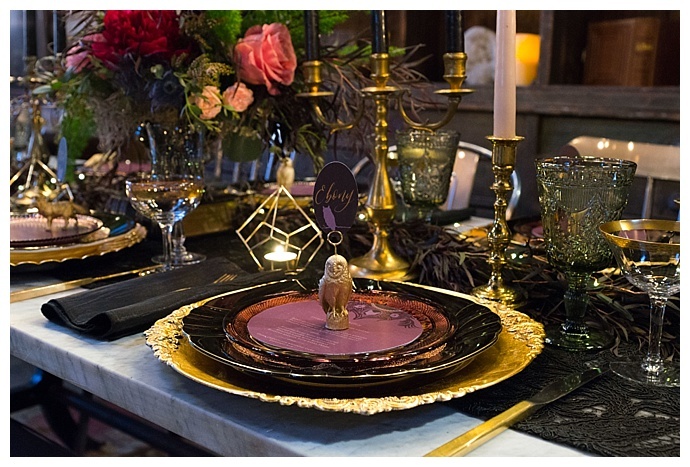 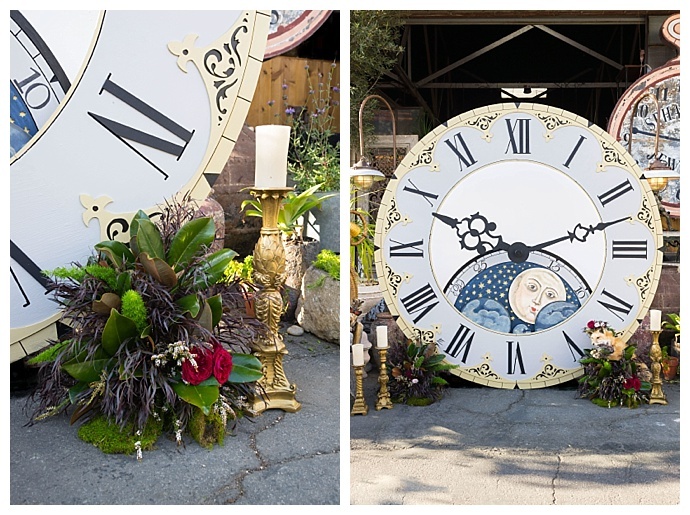 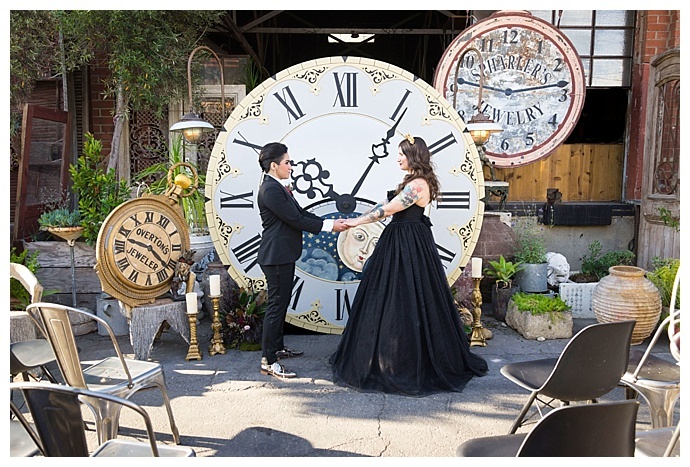 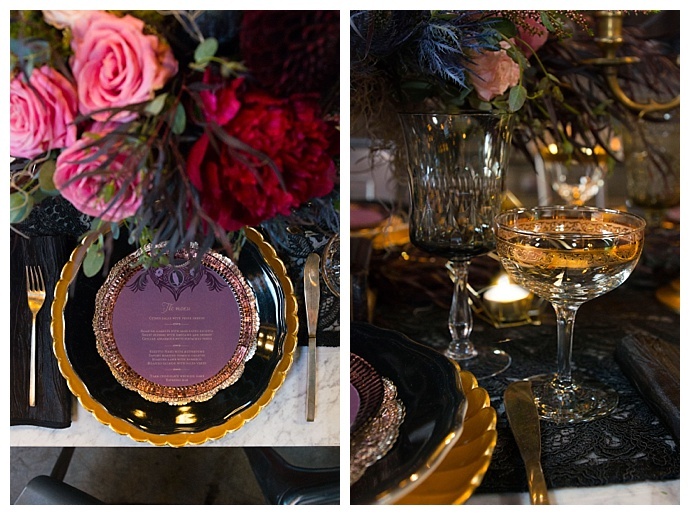 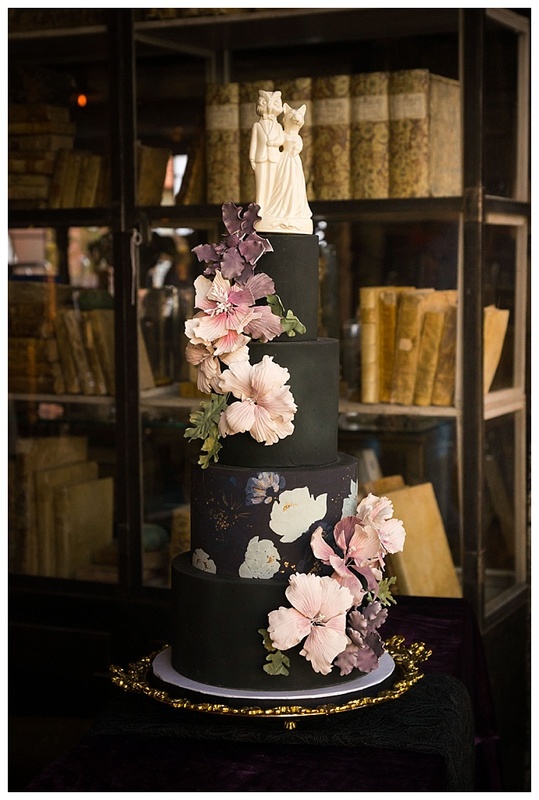 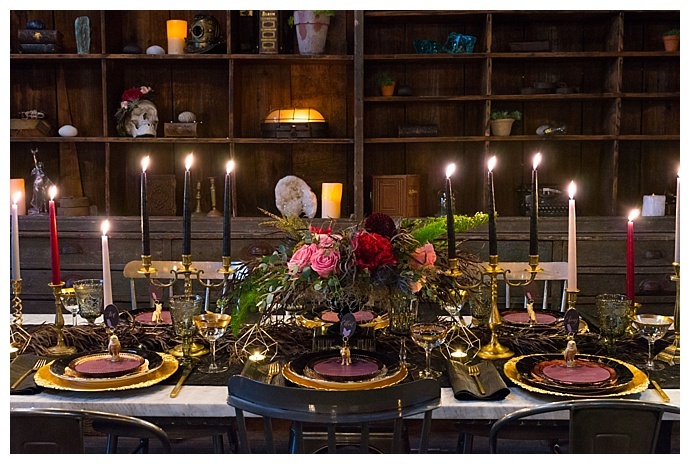 Among an eclectic collection of antiques and artifacts, a team of creatives created a unique ceremony set up with an incredible 3D clock backdrop as well as a luxe tablescape filled with moody colors and vintage details. 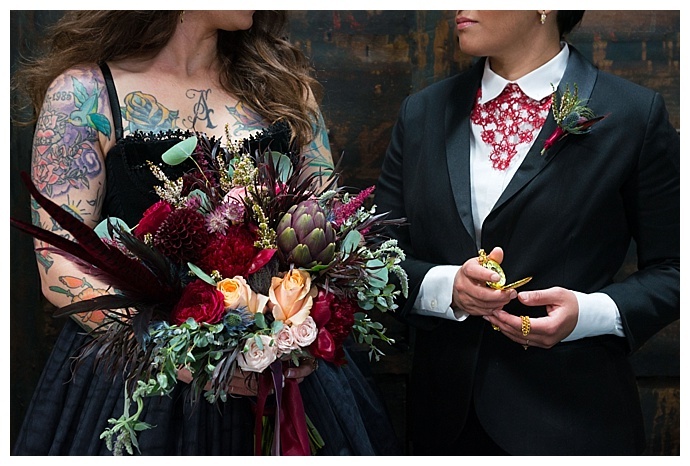 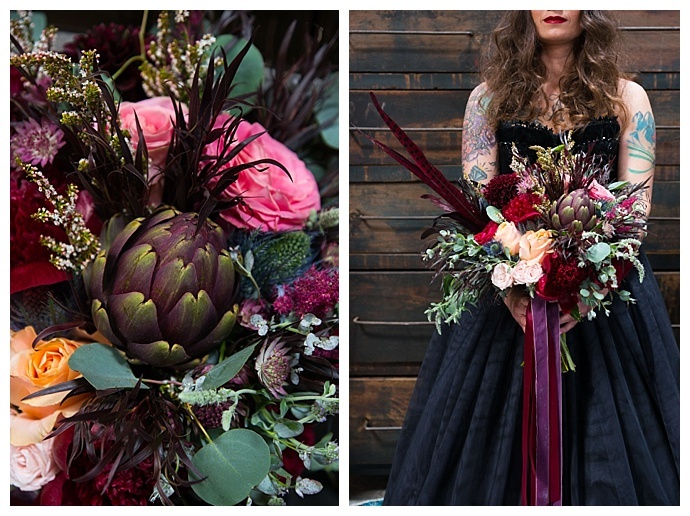 Lavish floral arrangements with hints of color and a statement artichoke for the bridal bouquet added a striking element to the design that accentuated the moody feel. 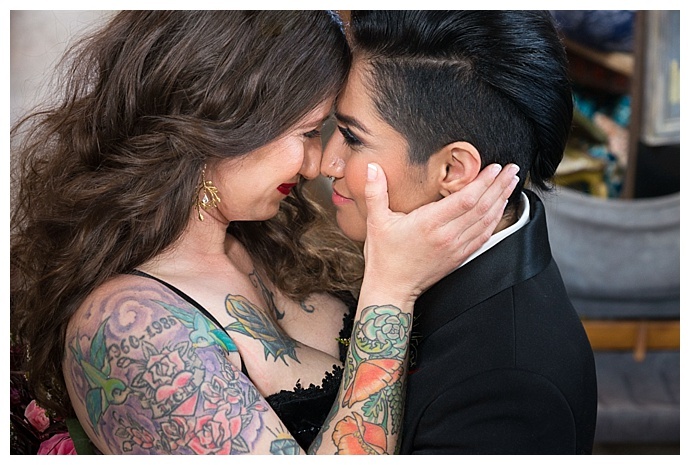 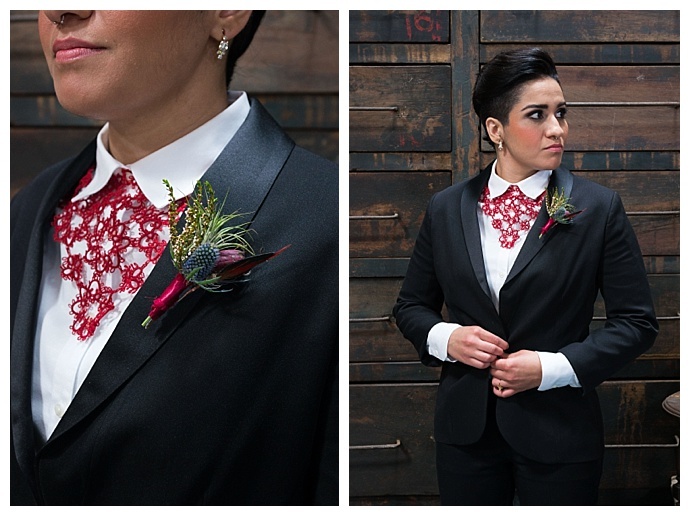 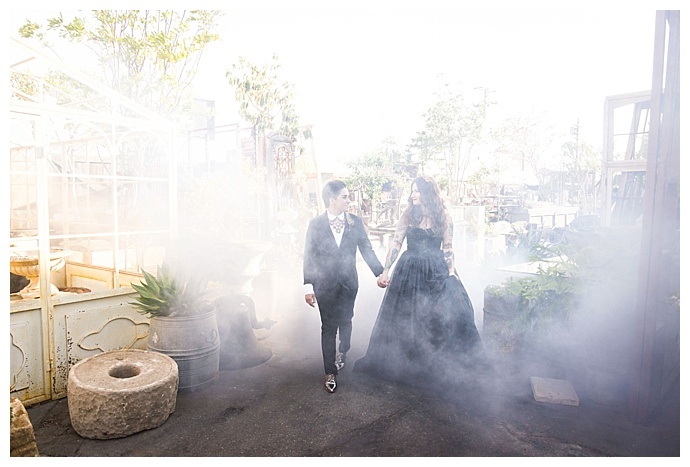 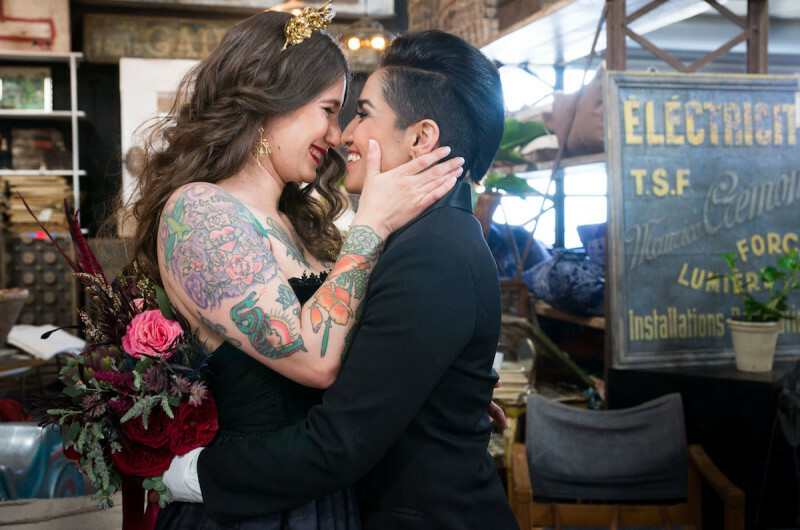 A stark contrast from the traditional white, both brides donned black attire — a gorgeous beaded silk gown with a voluminous tulle skirt and a black tuxedo from Friar Tux Shop that was accessorized with a blood red lace neck tie. 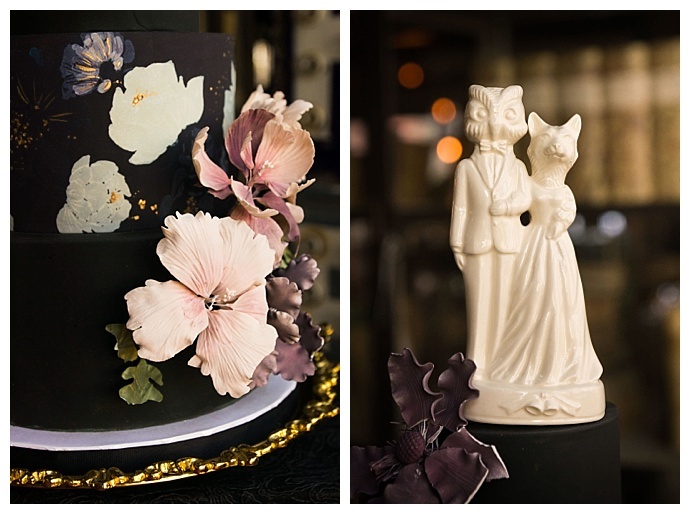 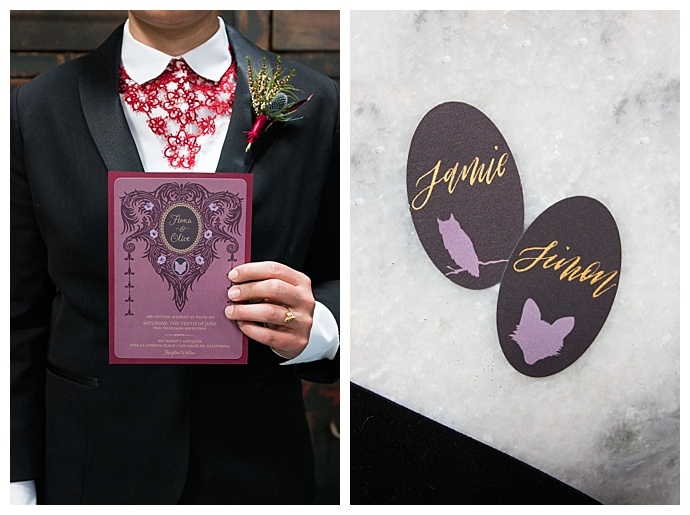 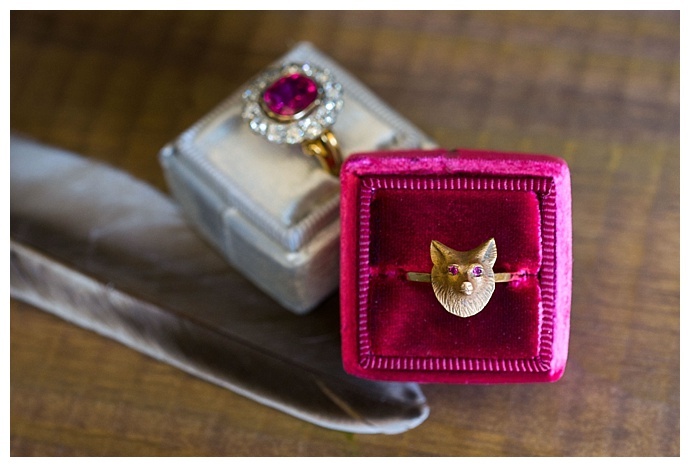 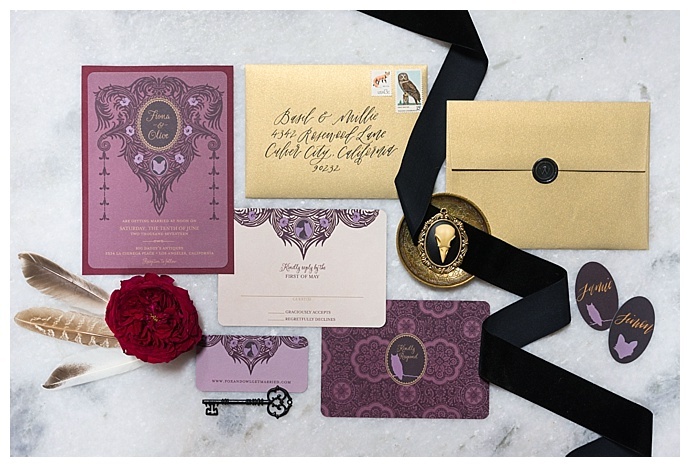 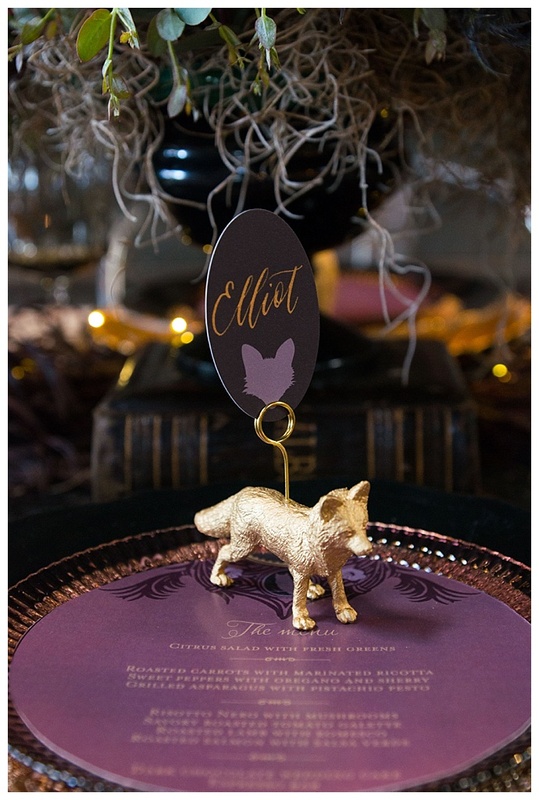 With stunning images captured by Peterson Design & Photography, a fun fox and owl theme and two beautiful brides, this inspiration shoot is perfect for those who love this time of year!